But worldwide, the most common is the 10-frame Langstroth hive. Most of our members have this style. Better if you are seeking to extract honey to sell. This so-called moveable frame hive with a practical top opening was the 1851 invention of Rev. Lorenzo L. Langstroth of Pennsylvania. Its design hasn’t changed much in the last 150 years, which is a testament to its practicality. Langstroth hive parts are completely interchangeable and readily available from any beekeeping supply vendor. All interior parts of the hive are spaced exactly three-eighths of an inch apart (9.525 mm), thus enabling honey bees to build straight and even combs. Because it provides the right “bee space,” the bees don’t “glue” parts together with propolis or burr comb. 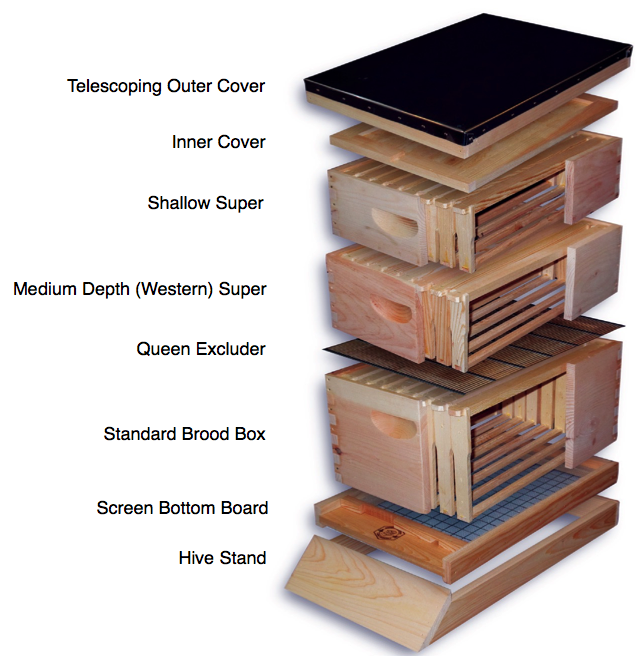 Langstroth’s design enables beekeepers to freely inspect and manipulate frames of comb. Prior to this discovery, beekeepers were unable to inspect hives for disease, and the only way to harvest wax and honey was to kill the	bees or drive them from the hive. Contact: Joey Teem at (870) 844 - 1412 or wrencher50@gmail.com to ask any questions about these type hives. He and his family have been working with these hives for years. A top-bar hive is a single-story frameless beehive in which the comb hangs from removable bars. The bars form a continuous roof over the comb, whereas the frames in most current hives allow space for bees to move up or down between boxes. Hives that have frames or that use honey chambers in summer but which use similar management principles as regular top-bar hives are sometimes also referred to as top-bar hives. 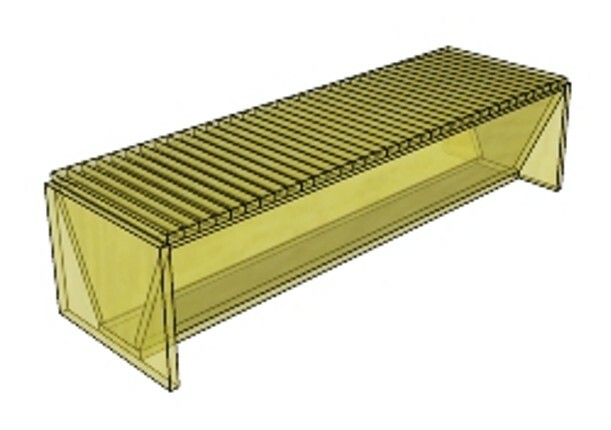 Top-bar hives are rectangular in shape and are typically more than twice as wide as multi-story framed hives commonly found in English speaking countries. Top-bar hives usually include one box only, and allow for beekeeping methods that interfere very little with the colony. Top-bar hives are popular with some beekeepers who believe it is a more natural form of beekeeping. Although the two most well-known styles of long top-bar hives are named "Kenyan" and "Tanzanian", the Kenyan hive was actually developed in Canada, and the so-called Tanzanian hive is not the same as the top-bar hive that was developed in Tanzania. The design of top-bar hives has its origins in the work done in 1965 by Tredwell and Paterson. Long top-bar hives began to appear in the 1960s and were first referred to as "grecian" hives. Similar "long" top-bar hives were also developed in the early 1970s by other authors. 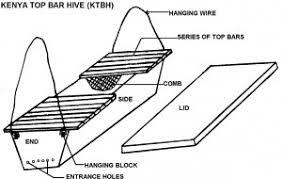 The David Hive (1972) was similar to the Kenyan top-bar hive, except that the comb was not cut from the bars at harvest time but reused after extraction. Also in 1972, William Bielby designed a top-bar hive that featured catenary curved comb. Although modern "long" top-bar hives originated in the middle of the twentieth century, initially for use in development projects, a "tub shaped" top-bar hive has been in use for centuries in some regions such as Greece. An example of the tub shaped top-bar hive is the so-called Greek hive that was first described in the 17th century and has been used in Crete until recently. Tub shaped top-bar hives are usually small enough to be portable, and allow beekeeping methods that involve periodic merging and splitting of colonies. Bee hives that conform to the general description of top-bar hives have existed for many centuries. The earliest known possible mention of a bee hive with removable top-bars is in Giovanni di Bernardo Rucellai's didactic poem Le Api, written in 1539. The travelling pair George Wheler and Jacques Spon witnessed a beekeeping method using woven tub shaped top-bar hives in Greece in 1676. Spon briefly mentioned this in his memoirs, but Wheler gave a detailed description and a drawing of such a hive in his work Journey Into Greece, published in 1682. The dimensions of that hive (including the supposed width of the top-bars and the angle of the hive sides) are variously indicated in modern citations of Wheler's work, but that is pure fiction, since Wheler himself mentioned no dimensions in his book. The beekeeper Zuanne Papadopoli described tub shaped top-bar beekeeping in clay pots that were used prior to 1669 in Crete. He wrote about it in his memoirs in 1696. In 1790, Abbot Della Rocca from Syros also wrote about tub shaped top-bar bee hives used in Crete during his time. 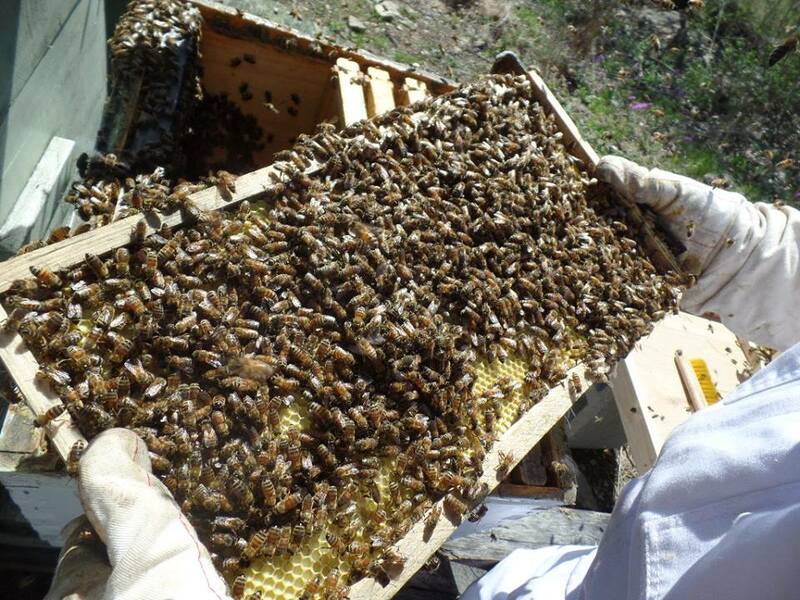 Although, there is evidence that beekeeping was commonly practiced in Crete since the Late Minoan I period (1600-1450 BC, the most common method of beekeeping in that region is using clay or woven long, cylindrical hives. Thomas Wildman described tub shaped top-bar hives as "skeps that are open at the top" in his Treatise on the management of bees in 1768. Although the term "Tanzanian" top-bar hive is currently used in English-speaking countries to denote a Kenyan top-bar hive with straight sides instead of sloping sides, the original Tanzanian top-bar hive was developed independent of the Kenyan hive, and had design features that do not occur in modern so-called Tanzanian top-bar hives. Until the 1960s, beekeepers in rural Tanzania used predominantly log hives, which consisted of a cylinder with closed ends and a harvesting hole near the middle. The fact that harvesting was done from the middle of the log meant that brood comb was destroyed every time honey was harvested. The Tanzanian government then promoted two alternative hive types, namely a log hive that could be harvested from either end (so that the brood nest in the center remains undisturbed) and a plank hive, which was a simple top-bar hive. The plank hive did not use moveable top bars, however — bees would attach comb in natural patterns to the roof. The advantage of the plank hive was that it enabled some inspection before harvest. The researcher G. Ntenga then designed a transitional hive, in 1972, based on the plank hive that uses moveable top-bars. This hive is sometimes called the Tanzanian Transitional Hive in literature, and was the original Tanzanian top-bar hive. Ntenga's hive had very precise measurements. It used top-bars with either a centre groove, a V-shaped bevel, or flat surface. The top-bars had lugs that were narrower than the bar itself. The hive could take 28 combs. The hive was covered with two lids, each covering half the hive. One variation of Ntenga's hive used top-bars of 60 mm instead of 30 mm wide that would each carry two combs instead of one. The hive commonly referred to as the Kenyan top-bar hive was developed by Dr. Maurice V. Smith and Dr. Gordon Townsend from the University of Guelph in Canada, sponsored by the Canadian International Development Agency (CIDA) under an initial four year overseas project which began in Kenya in 1971. The hive and its development was subsequently and extensively described by Dr. Isaac Kirea Kigatiira from Kenya, who was a student at Guelph in the early 1970s. Although the hive's management differs strongly from the tub shaped Greek hive, early publications about the Kenyan hive often mention the Greek hive as an inspiration for the Kenyan hive. The original Kenyan hive was designed to hang from trees or poles. Other modern variations of this hive, such as the Jackson hive used in South Africa, are also intended as hanging hives. Hanging the hive some distance from the ground protects it from both wild and domestic animals, as well as from ants and beetles. A version with straight sides was developed by Henry Mulzac by 1977, which used Langstroth compatible dimensions. The South African Jackson hive also uses Langstroth sized frames. Although guidebooks for use in Africa often give precise dimensions for the Kenyan hive, and encourage beekeepers to keep their equipment of uniform and interchangeable sizes, one of the main selling points of the KTBH among proponents from English speaking countries is the fact that it can be made to practically any size and shape, as long as the top bars have an appropriate width. The angle of the sloped sides is most commonly recommended to be 30 degrees. The width of the top bars is the sum of comb thickness and one measure of bee space. This helps ensure that bees build exactly one comb per top bar. Most top-bar hive plans freely available on the internet show hives of roughly 1 meter long and between 30 cm and 50 cm wide and high. In English speaking countries, the top-bar hive is usually mounted on a set of legs that lift the hive to a height that is comfortable for beekeepers. In African countries, the height of the hive is often also determined by the type of animal the hive is meant to be protected from. A top-bar hive has bars from which the honey bees attach and hang wax comb, an array of hexagonal (six sided) cells. A beekeeper can make top bars from any plain wood. The top bars are usually 1¼ inches to 1? inches (32–35 mm) wide, depending on local conditions and the type of bee to be housed. Combs can be handled individually. The depth of the bar and the length of the bar can be whatever the beekeeper wants, but usually between 17" and 20". The depth of the top bar hive should be 12" or less. If deeper, the weight of the comb filled with honey tends to cause it to fall off the bar into the bottom of the hive. The bees will lose access to this during the winter cluster in the hanging combs, thus increasing their likelihood of starving. It is important to give the bees a clear starting point to build comb on each top bar. Some TBH beekeepers fashion their top bars with a V-shaped bottom to guide the comb building. Alternatively, some use a table saw to cut two closely spaced slots along the long axis of each new top bar. Either type of guide, wax line or grooves, gives bees a place to hold on to with their hooked feet. This allows a substantial "drape" of bees to form, which is the beginning of comb building. Unlike the conventional Langstroth hives, the entrance is not part of the hive's ventilation system. This allows a great deal of flexibility in both placement and configuration. The entrance should not be placed high on the hive as this will allow the escape of winter heat. Rather than place the entrance in the end wall it should be located in one of the sides of the hive, especially in the Tanzanian (straight sided) hive. This will allow the bees to access the side which they must use to access comb in the back of the hive for storing nectar. 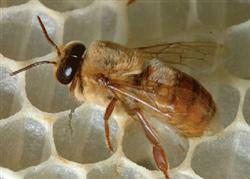 It is suggested that bees in a Kenyan hive will have much less tendency to adhere comb to the sides of the hive. Once adhered comb is freed from the side (leaving a bee space) the bees tend to not rejoin the comb, so this is not a significant problem for either hive. It is important in either type that end access or some free space without comb is available so adhered comb may be freed. 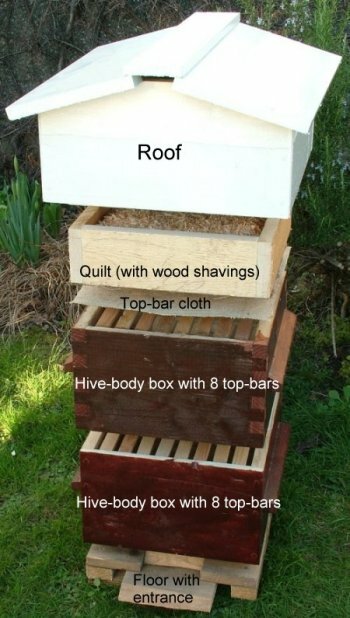 The simplicity of the top-bar hive allows use of salvage materials and even boxes and containers such as half-drums, drawers and packing crates. Almost any container may be used as a hive, provided appropriate bars are placed across the top and a weather tight cover and a single defensible entrance are provided. While this is an advantage in impoverished areas, purpose-built hives offer certain advantages in pest control, durability, and defensibility. While hives in a bee yard should use identical bars for convenience in management, the construction does not require the precise dimensional control of the Langstroth type. Since no seasonal storage of honey collection boxes ("supers") is needed, nor is a centrifugal extractor commonly used, the storage requirements are also greatly reduced. The cost is about one-third to one-fourth the cost of one standard ten frame Langstroth hive. A Warre (pronounced war-ray) hive is simple to manage and maintain. Also known as tiered or supered top bar hives, a vertical top bar hive is such as the Warre hive is friendly to the bees since they are allowed to draw out their own comb. The hive is commonly under supered which means the new hive boxes are added to the bottom and not the top of the hive. This promotes the bees natural tendency to build down ensuring a hive environment that is healthier and better suited to their own needs. 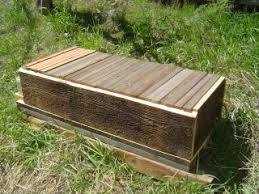 · Warre hives have a simple hive box with no frames. 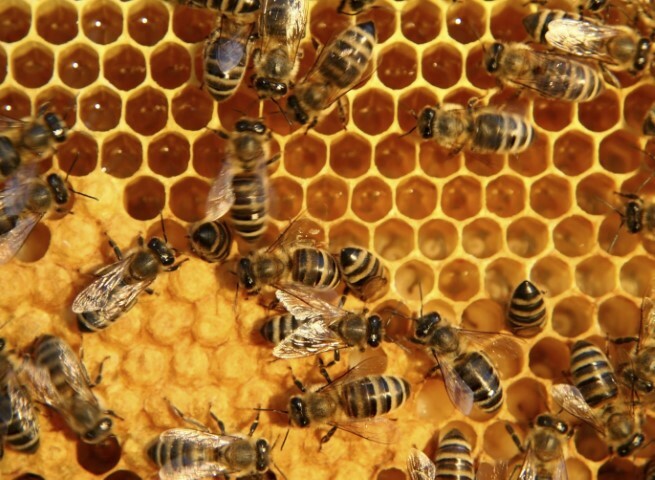 · The bees draw down their own comb from top bars affixed to each box. · The quilt provides a layer of insulation to the hive. · It sits under the roof on top of the uppermost box, as you can see below. · Warre hives are easy to build from materials available at your building supply shop. · The Warre hive is designed so that it will not take enormous amounts of time out of your busy schedule. · In short, the Warre Hive is a good solution for those who are interested in keeping bees simply, naturally and wholesomely without harsh chemicals or medications. Bees of all varieties live on nectar and pollen. Without bees, pollination would be difficult and time consuming - it is estimated that one-third of the human food supply depends on insect pollination. Bees have a long, straw-like tongue called a probiscus that allows them to drink the nectar from deep within blossoms. 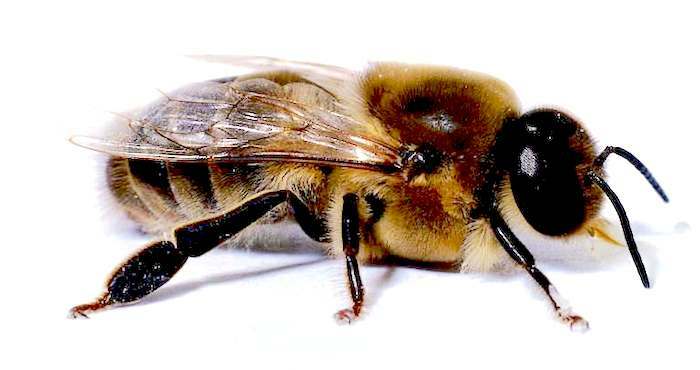 Bees are also equipped with two wings, two antennae, and three segmented body parts (the head, the thorax, and the abdomen). Honeybees are social insects that live in colonies. The hive population consists of a single queen, a few hundred drones, and thousands of worker bees. The honeybees we know and love here at Honeybee Centre forage for nectar and pollen from flowering plants. 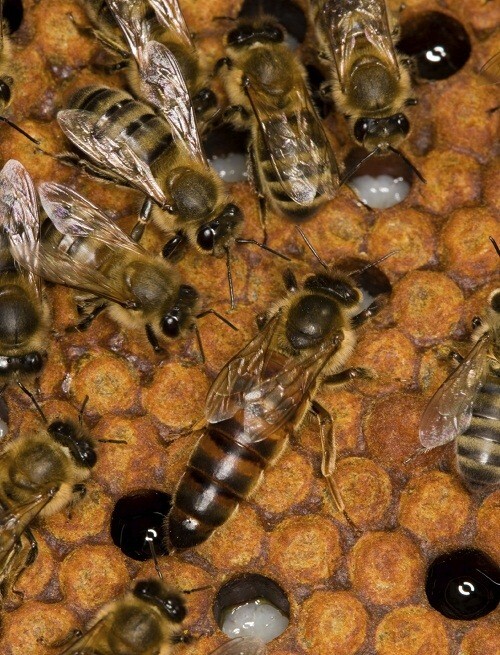 They use the nectar collected to create our favourite sweet treat - honey! When carrying the nectar back to the hive, their bodies break down the complex sucrose of the nectar into two simple sugars, fructose and glucose. Tucking it neatly into a honeycomb cell, the bees will then beat their wings furiously over top of this syrupy sweet liquid to fan out the moisture and thicken the substance. 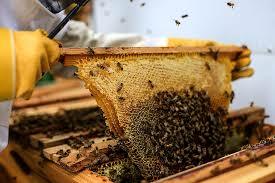 When it is complete, the bees will cap that cell with beeswax, sealing the perfected honey for consumption later on. 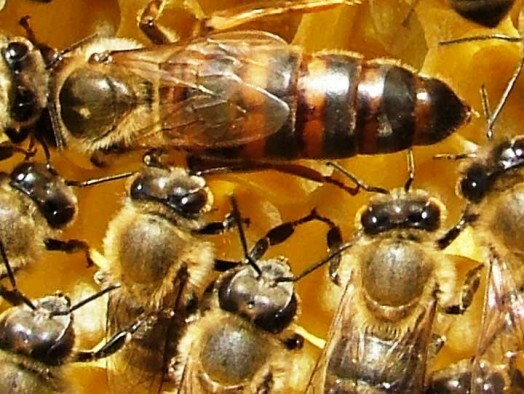 Worker bees are all female, and they do almost everything for the hive. From birth to her death 45 days later, the worker bee is given different tasks to do during different stages of her life. Worker bees are responsible for everything from feeding the larvae (the baby bees), to tending to the queen, to cleaning the hive, to collecting food, to guarding the colony, to building honeycomb. The stinger of the worker bee is barbed, so when she is forced to defend herself or the hive, her stinger will become stuck in the skin of her victim. She is unable to pull it out, and dies when she inevitably tears herself away from the stuck stinger, leaving it behind with the venom sack still pumping venom into her victim. 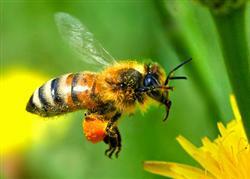 Consequently, honeybees are very gentle - they don't want to die any more than you want to be stung. Be nice to them, and they'll be nice to you. If one lands on you, DO NOT swat it, simply GENTLY blow on it to depart. Their job is to mate with queens from other hives. If they do get the opportunity to mate, they die immediately afterwards. You can identify drones in the hive by their big round bodies and large eyes. Drones are incapable of stinging. There is one queen bee per hive - she is the mom of all the other bees. She is the only fertile member of the colony, and lays about 1,500 eggs a day during spring and summer. 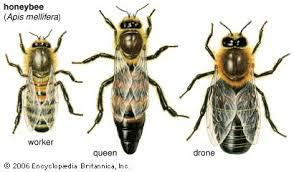 Queen bees are distinguished from the other members of the hive by their long abdomens and small wings. Soon after birth, queen bees will go out and have a wild weekend, where they mate with 15 or more drones over a three day period before retiring to the hive to lay eggs. The queen will not leave the hive again unless the colony swarms (looking for a new home). When the colony needs a new queen bee, they simply choose a healthy larva, hatched from an egg of the current queen, and feed it royal jelly, a special, super-nutrious food. Royal jelly, produced in the heads of young nurse bees (worker bees whose job it is to care for the larvae), helps this larva grow into a queen. Queens can lay about 1,500 eggs per day and can live from 4 to 7 years, that's up to 57 times longer than a worker bee - it's no wonder humans love adding royal jelly to their diets, too! Contrary to popular belief, honeybees do not build an external structure that contains their hive. They love to live in hollow spaces, whether that means a hollow tree, an empty fallen log, or in a traditional man-made bee hive. They do, however, build the inside of their hive. Honeybees make their own special wax (beeswax), which they use to create perfect little hexagons inside their home. These little cubbyholes are called cells, and in them, the bees store everything from eggs, to pollen, to honey. 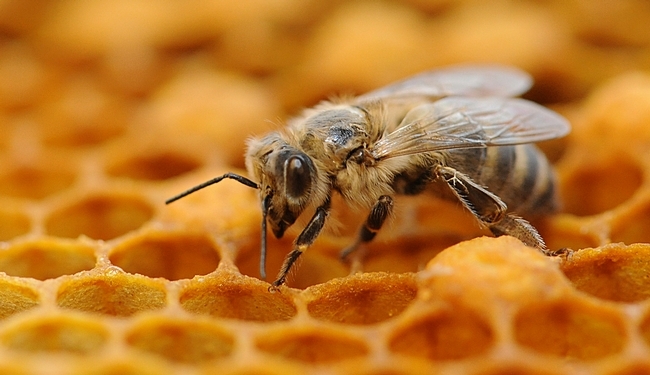 To seal their hive and to protect against diseases, the bees make a substance called propolis. Propolis is a combination of beeswax, honey, and tree resins, and is anti-bacterial, anti-fungal, and anti-viral. It disinfects and protects their hive. It is also very sticky, and honeybees love to use it to seal up any cracks or holes they may encounter on a housekeeping mission. With such a large population all working together, some great communication skills are needed. Bees do their talking in two ways - by scent and by dancing. When a honeybee is warning the hive about an intruder, or if the hive is particularly happy, honeybees have the ability to release a special hormonal scent called pheromones. The bees can detect these scents and interpret their message. A happy bee pheromone smells suspiciously like lemons, and a warning-smell has a banana-like scent.